Deployment of these rugged cables can be quite difficult for workers who are reacting to an immediate and unanticipated need. The thousands of pounds of cables and reels are heavy and require a large amount of manual labor and time to deploy. Does this look familiar? This same, yet very common practice results in a large amount of back injuries and workers compensation claims every year. Does your back hurt just thinking about it? We understand. 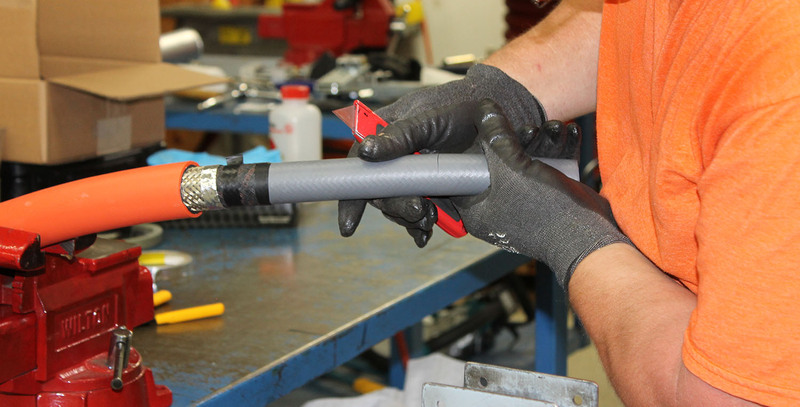 When preparing medium voltage power cables for connector installation, appropriate tools should be used to cut and strip the cable back to prepare it for termination. 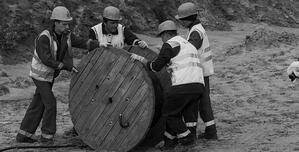 If cuts are not properly made, the result could be a blown out cable that puts both personnel and equipment at risk. The precise layers of semi-conductive material, insulation, metallic shielding, and jacketing materials all help ensure proper installation and crew safety. In order to install a medium voltage termination, technicians should be trained in how to measure all cutbacks and install terminations properly so that the connection will handle the voltage stresses to give your assemblies a longer life. Some vendors require high minimum runs. Do you really need 3,000 feet of cable? Probably not, and why should you have to worry about storing extra cable or paying for cable you will never use? You should select a vendor who has proper stock available who can cut cables to length and provide you exactly the amount you need when you need it. Think about how you plan on transporting these medium voltage cables when they are needed. You might have a "all hands on deck" approach that requires your crew to roll these heavy reels to get them from point A to point B. What if we told you there's a better way? 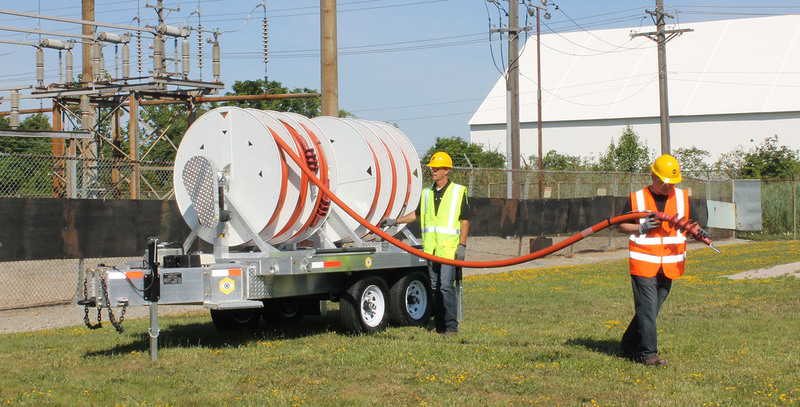 TPC Wire & Cable Corp. specializes in working with you to properly design a flexible, customizable mobile storage and deployment system that meets your site-specific needs. The final result is a system that allows you to store your cables safely and easily when they aren’t being used, and be able to deploy them with the same ease in multiple locations. Our medium voltage power cable technicians have the experience to help you eliminate the risk of failures in the field. We use properly calibrated, up-to-date equipment to handle, accurately measure, and cut the cables to the exact lengths you require. This type of flexibility allows your crews to remain safe while your company restores electrical service more efficiently and faster when unplanned outages occur. You wouldn’t settle for a bike with no wheels, would you? Of course not. Then, why purchase heavy electrical cables with no storage and deployment strategy? 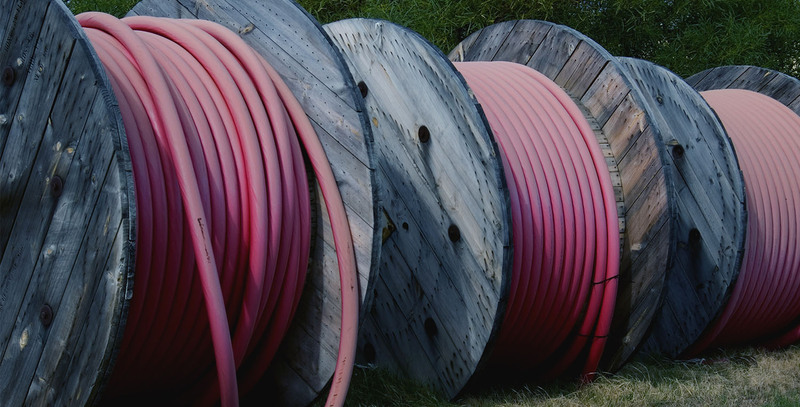 We do sell our heavy-duty flexible medium voltage mobile substation cables without a full deployment strategy, but we consistently ask, “how are you going to get all this cable from point A to point B?” In some cases, our customers aren’t exactly sure. If you’re in a hurry to deliver your commercial and residential customers with service they can rely on, we have on-site inventory to help you get power restored quickly and strategically. All medium voltage cable assemblies are subject to our electrical hipot testing conducted to current industry standards as another level of protection and security that the product you receive has been properly built and will provide excellent service. Want to know more? Download our Power-Trex® Flexible Medium Voltage Power Solutions today!